Spread your wings and lift off on a flight of imagination. 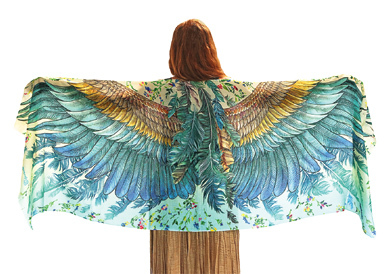 Magnificent wing-printed wrap lets your spirit soar. Cotton; 72" x 26". Designed in Australia by Shovava.